Thought it might be a good idea to mention something that I have found to be vital when hanging Lincrusta – the template. As you can see from the image above, whenever you come across an area where you do not have a straight cut, it is always necessary to make a template. Here we find a skirting at the top of the stairs that feeds into another (I’m sure there must be a technical name for it). I created a template from the box that the product was supplied in – it’s the correct size! 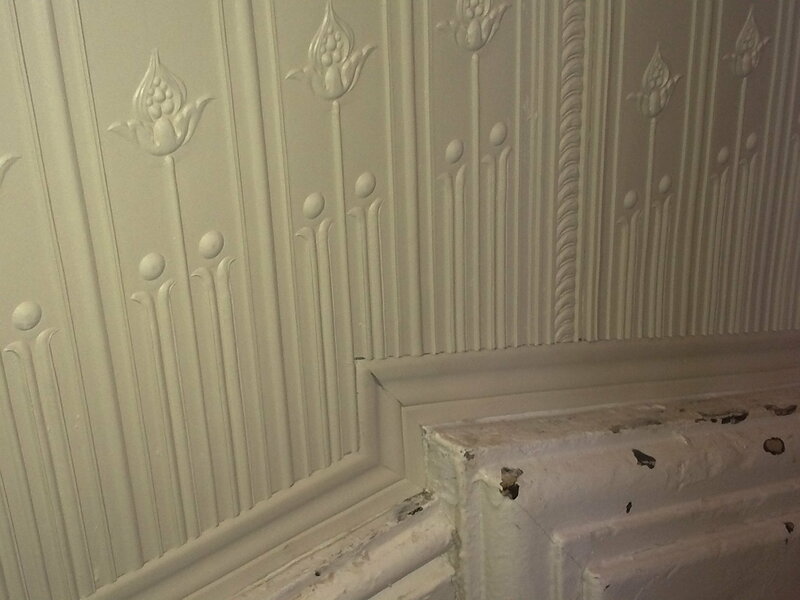 measuring and then remeasuring… as the old saying goes; measure twice cut once, with Lincrusta it is sometimes necessary to measure thrice! 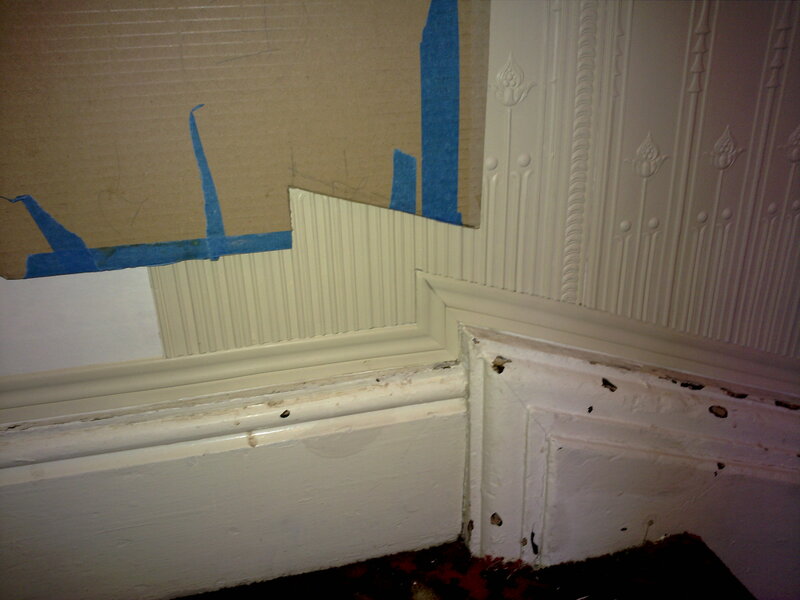 Also, I installed the dado rail supplied with the Edwardian Dado panels, to the skirting top edge. This was to increase the height of the product for the staircase drops – unconventional, but it worked, and looked great. PS. The terrible paintwork on the skirting is nothing to do with me! This entry was posted in Uncategorized on November 15, 2012 by mjguestltdblog.